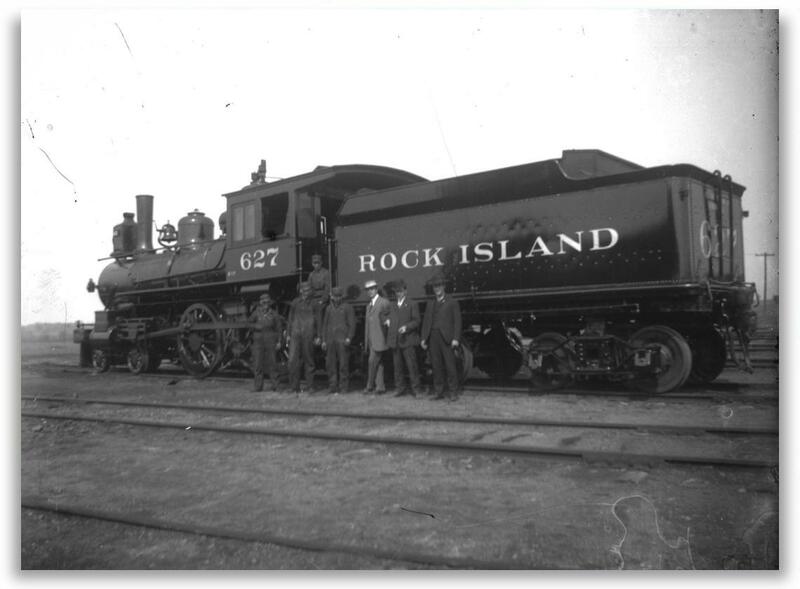 This week’s “Friday Night Cat Fight” features the classic American folk tune, “Rock Island Line,” which was first discovered by musicologist John Lomax in 1934. Lomax was making his way through the South recording and preserving folk music for the Library Of Congress. It was at a penitentiary in Arkansas that he came across Kelly Pace and his group and they sang “Rock Island Line” for him. It is documented that this tune was very popular among inmates, who sang it as they worked the prison yards. Leadbelly also heard the tune while in prison and he first recorded it in 1937. The version by Leadbelly up for competition this week, though was taking from a 1940 session he had with the Golden Gate Quartet. There are also five more versions of “Rock Island Line” vying for your vote, including the most popular one to date by British Skiffle sensation Lonnie Donegan. His version was released in 1955 and went to #8 on the US charts in 1956. Charting versions by Don Cornell and Johnny Cash are also featured. Listen to the podcast in full and then decide which version of “Rock Island Line” you DIG THE MOST! Then, voice your choice and vote below. Which One Do You DIG THE MOST? - "Rock Island Line"
The Friday Night Cat Fight takes on one of the most rockin’, hot burnin’ rockabilly sides of all-time, “Red Hot.” But the tune didn’t start out as a rockabilly barn burner. It began as a cheerleader’s chant “Our team is red hot,” which was turned into a mid-tempo R&B tune by its writer Billy “The Kid” Emerson. 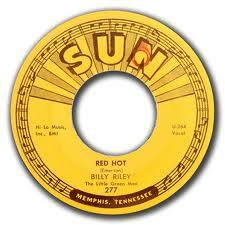 He cut his original for Sun Records in 1955, the same label that would issue Billy Riley’s immortal version in 1957. Also in ’57, the great Bob Luman cut a cover of “Red Hot” for Imperial Records. We round off this week’s competition with Sam The Sham & The Pharaohs 1966 stab at it, which went to #82 on the national charts. Then in 1977, Robert Gordon took the tune back 20 years to its rockabilly glory with his rendition, which hit #83 nationally. So, which version of “Red Hot” is TRULY RED HOT? You decide. Listen to the Cat Fight Podcast and then vote for the one you dig the most in our online poll. Which One Do You DIG THE MOST? - "Red Hot"
Listen to the podcast and vote for the one you truly DIG THE MOST! Which One Do You DIG THE MOST? - "Good Rockin' Tonight"
This week, we celebrate the 100th Friday Night Cat Fight Podcast (that’s 100 shows since Matt The Cat left XM in October, 2008) with a true American folk ballad classic: “The House Of The Rising Sun.” We’ll put NINE versions of the tune in competition this week from Clarence Ashley and Gwen Foster’s original known recorded version from 1933 to Frijid Pink’s 1970 guitar distorted masterpiece. In-between, you’ll find Joan Baez and Bob Dylan giving it the folk treatment while The Animals take it to a new level and top the US and UK charts while doing so. Listen to all nine versions and vote for the one you TRULY DIG THE MOST. Which One Do You DIG The MOST? 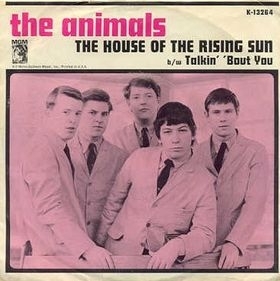 - "The House Of The Rising Sun"
3/11/11 – The “Nature Boy” Cat Fight! This week, The Friday Night Cat Fight is a battle royale between 4 distinguished crooners over the classic, if not eerie tune, “Nature Boy.” Nat King Cole scored the first and biggest hit in 1948, but Sinatra and Haymes each had top 20 versions of the tune also in ’48. Bobby Darin brought it back to life in 1961 with a slightly different take on it musically and today, “Nature Boy” is a jazz standard. Which One Do You DIG The MOST? - "Nature Boy"
3/4/11 – The “Dedicated To The One I Love” Cat Fight! The Friday Night Cat Fight features a classic vocal group record this week with “Dedicated To The One I Love.” The song was co-written by the “5” Royales insanely talented guitar player and songwriter Lowman Pauling in 1957. His group cut the original version of the tune without much success. The Shirelles made a slight dent in the charts in 1959 with the first release of their cover. In 1961, everything changed. King re-released the “5” Royales’ original and it scraped the charts, but that prompted the Shirelles’ label to re-release their version and it shot to #3 on the charts. In 1967, Mama Michelle got her first lead vocal as Dunhill Records issued the Mamas And The Papas version which hit #2. Many others have covered this classic tune, but these three versions stand out as the best and most popular. Listen to all three on this week’s Cat Fight Podcast and then vote below for the one you DIG THE MOST! Which One Do You DIG THE MOST? - "Dedicated To The One I Love"
2/18/2011 – The “Shake A Tail Feather” Cat Fight! The Friday Night Cat Fight Podcast presents a great uptempo number to git y’all on the dance floor, “Shake A Tail Feather.” Who better to get ya shakin’ it, than the original 1963 version by the Five Du-Tones? Or maybe you prefer the biggest hit version of song from James & Bobby Purify from 1967? It’s possible that Ray Charles’ version from the “Blues Brothers” film is the one that tickles your tail feather. Voice your choice! Listen to the Cat Fight and then decide if it’s one of the hits or one of the lesser-known versions by Mitch Ryder & The Detroit Wheels or Ike & Tina Turner. Which One Do You DIG The MOST? - "Shake A Tail Feather"
2/4/2011 – The Day The Music Died Cat Fight-2011! The Friday Night Cat Fight Podcast honors the 52 anniversary of “The Day The Music Died,” that terrible plane crash that took the lives of Buddy Holly, Ritchie Valens and The Big Bopper (J.P. Richardson). There will be 2 separate Cat Fights this week. The first is over a tune that was written by J.P. Richardson and originally recorded by him. His buddy George Jones covered it in 1959 and made it his first of MANY #1 Country singles. The second Cat Fight is between Robert & Johnny and Ritchie Valens over the tune, “We Belong Together.” Robert & Johnny co-wrote the song and took it to #12 on the R&B charts, but Ritchie puts a heartfelt touch to the tune and makes it all his own. Plus, the podcast also contains a little tribute to Buddy Holly, whose loss is still very much felt today. So listen, vote and dig this week’s Friday Night Cat Fight Podcast with Matt The Cat. Which One Do You DIG The MOST? - "White Lightning"
Which One Do You DIG The MOST? - "We Belong Together"
1/21/11 – The “Rockin’ Pneumonia” Cat Fight! The Friday Night Cat Fight Podcast takes on flu season with this classic rock n’ roll tune. We return to the original two song Cat Fight format as Huey “Piano” Smith & The Clowns’ 1957 original version of “Rockin’ Pneumonia & The Boogie Woogie Flu” takes on Johnny Rivers’ top 10 version from late 1972. Who’s got the hotter fever? Who’s got the colder chills? Who’s lunch is coming up first? You decide by listening to this week’s Cat Fight and then voting for the one that gets you the most sweaty. Which One Do You Dig The Most? - "Rockin' Pneumonia & The Boogie Woogie Flu"